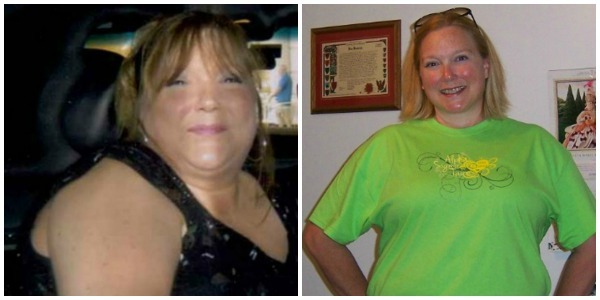 Angela VanBuskirk Battled a Bone Tumor and Lost 70 Pounds, Twice! Most people would consider losing 70 pounds to be a once in a lifetime accomplishment, but Angela VanBuskirk had to do it twice. After losing 100 pounds with the help of a personal trainer, Angela’s efforts were stymied by an aggressive bone tumor in her leg. Now, she’s 70 pounds lighter and determined to finish her fifth half-marathon in three hours or less. Angela’s true weight loss story is the result of patience, determination and “admitting the struggle.” For her, the struggle took years to overcome and included heartbreaking setbacks. In 2000, years after her second pregnancy, Angela sought the help of a personal trainer and, “worked out diligently.” She lost a significant amount of weight and for the first time in a long time, “felt incredible.” In 2002, however, she was devastated to learn she had an aggressive bone tumor that destroyed her femur and hip joint. Though the tumor was benign, the surgery to remove it left Angela with two large pins in her hip and a titanium rod in her femur. In the year it took to rehabilitate her leg, she gained 100 pounds. With the help of a commercial weight loss program, Angela says she’s finally learned “how” to eat. “I grew up the daughter of a truck driver and a stay home mom,” she explained. “If it wasn’t fried, it was double-fried and dipped in gravy.” For exercise, Angela embraced walking, then running. She still does a combo of the two. “I like to say, ‘I ralk’ because it sounds like, “I rock.” Despite the pins in her hip and a leg-length discrepancy, she has several 5K races under her belt and she’s running her fifth half-marathon in November.